Out of the 14 members in the T20I squad for Australia, as many as 10 had an active contract with the IPL franchises in the recently undergone season. Perth Scorchers pacer Jason Behrendorff, who got the break into the Australian squad, now eyes an IPL contract while striving for impressive performances against India. There have been several occasions when players have bagged lucrative deals with franchising owing to impressive performances against India. The likes of Tymal Mills bagged a whopping deal 12.5 crores with the Royal Challengers Bangalore this February in the auctions. “It will be huge. Everyone wants to play in the IPL. Every guy you play alongside in Big Bash League, who has done it or aspires to do it, speaks how great a competition IPL is, how much fun they have had, a large number of people, who come to watch matches. 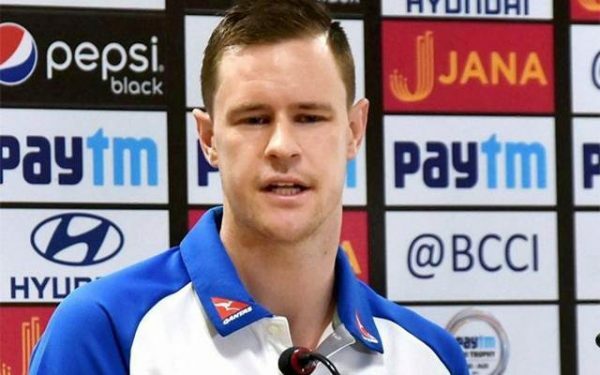 It’s an experience, I would love to have,” claimed Jason Behrendorff according to TOI. With the back injury to James Pattinson, the doors have opened for the Western Australian as he is the firm favourite for the fourth bowler role in the Ashes series. “I have had an uninterrupted pre-season for a change which is the first time in a long time. I feel like my seasons have always started quite slow so it’s something different this year, which is great,” the fast bowler stated. India plays Australia in the 3-match T20I series starting 7th October at Ranchi.